Brilliant Black Crystal Pearl 2008 Dodge Ram 2500 SLT 4WD 5-Speed Automatic HEMI 5.7L V8 4WD, 160 Amp Alternator, 7 Pin Wiring Harness, Badge, Class IV Receiver Hitch, HD Snow Plow Prep Group, HD Snow Plow Prep Group w/2FG, Quick Order Package 26G SLT, Remote keyless entry, Stain Repel Seat Fabric, Trailer Tow Group. We are the largest used car dealership in Lebanon. We are right off of I-65, only minutes from everywhere! 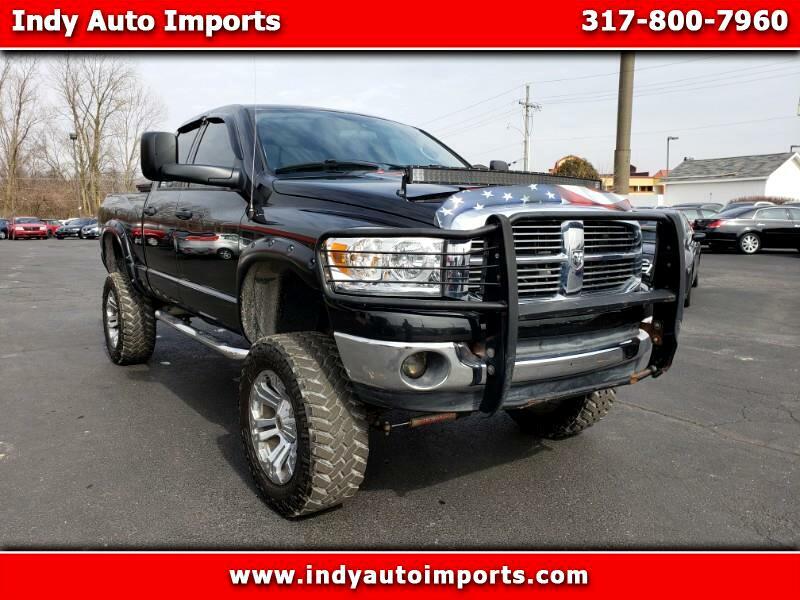 Visit Indy Auto Imports online at indyautoimports.com or call us at 317-800-7960 today to schedule your test drive.